Up until the early 20th century Korea was nicknamed the “Hermit Kingdom” by the West. 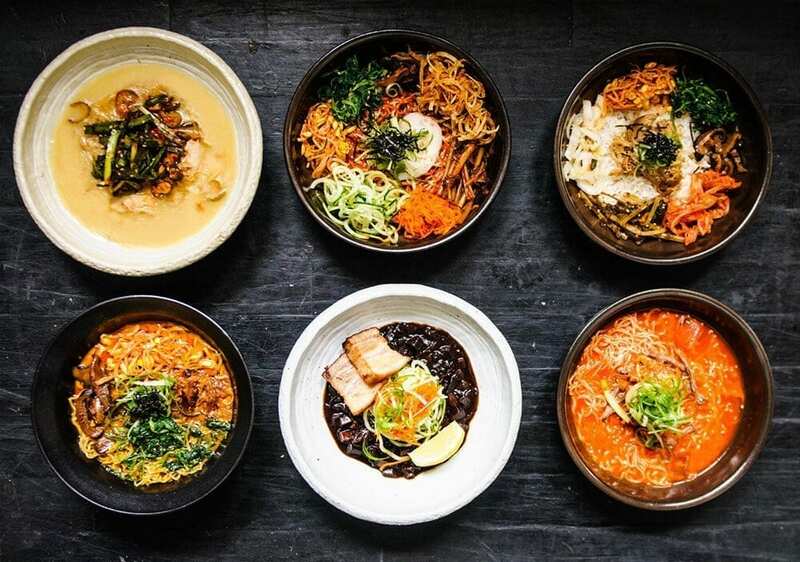 Though the country has adopted plenty of modern Western and Japanese traits since opening its borders, its cuisine still remains true to its roots. 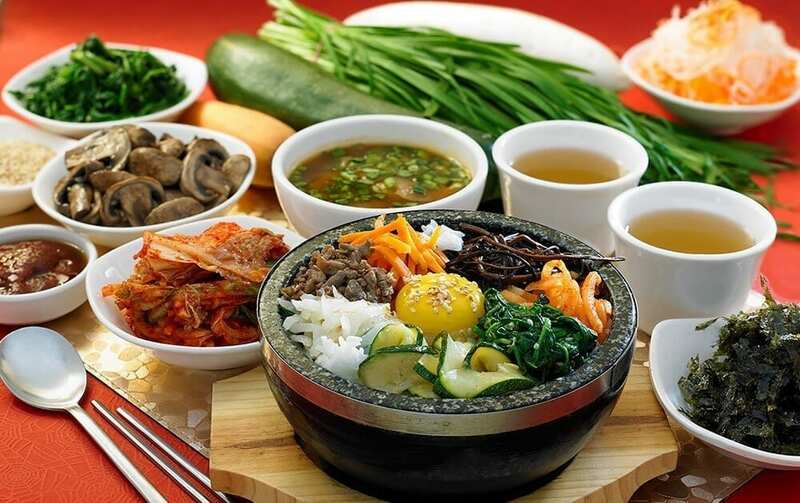 Due to its isolation and cold autumns and winters, Korean cooking typically includes many spices and sauces such as kimchi, red pepper paste, soy sauce, ginger and garlic. The concept of courses doesn’t really exist in a traditional Korean meal, you’ll find a mix of cold and hot, salty and sour and sweet and spicy dishes all served at once. Luckily for us, Korean cooking techniques and recipes are easily prepared at home. There’s a reason Korea is expected to have the highest life expectancy in the world over the next decade. Meals are accompanied by a wide array of side dishes called banchan, many of which are plant based and fermented. They’re served in small portions and include fermented foods such as kimchi – heavily fermented vegetables, usually Napa cabbage, seasoned with chill peppers and pickled in heavily salted water. A meal is considered incomplete without kimchi. This balanced way of eating is ingrained in Korean culture and ensures they always have healthy digestion. Including it in your diet is easy, too. Use kimchi or other fermented foods such as sauerkraut, miso (made from fermented soybeans and grains) or pickles. They’re loaded with probiotics, help with digestion and absorbing nutrients. 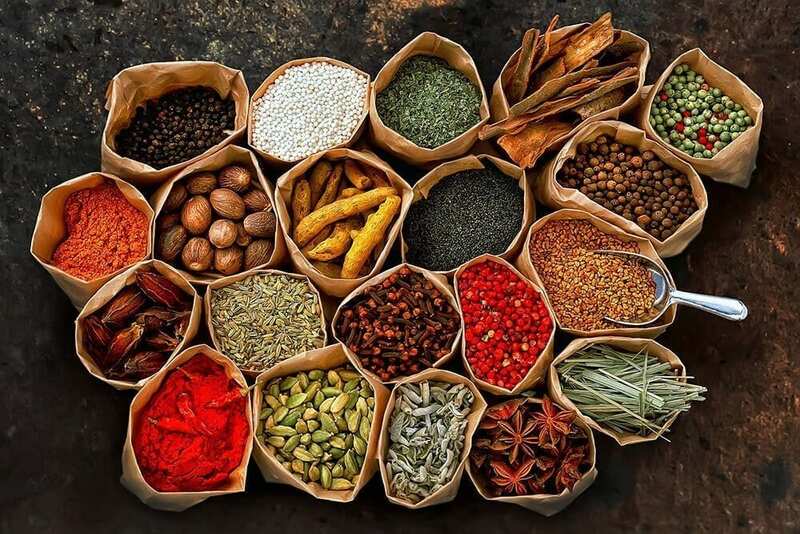 Herbs and spices are the most important element in Korean cooking. Cinnamon, atractylodis and clementine are some of the most popular herbs in Korea that promote healthy digestion and boost your immune system. Apart from adding to the food’s taste, spices such as gochugaru (hot chilli flakes) are used for their antibacterial benefits, helping the body fight off infections, reducing fat and cleansing the body. As a rather handy side effect, spicy food makes your brain release endorphins – the body’s natural painkiller – making you feel good. Korean fermented pastes are named jangs and are fundamental to a Korean meal. There are three main jangs that form the foundation of Korean cooking; doenjang (a fermented soybean paste), gochujang (the famous one – composed of chili flakes and sweet rice paste) and ganjang (a lighter soy sauce used on vegetables). Their flavours change based on the region they are produced in and are vastly different to the Western imitations. Jangs are the perfect protein food, effectively removing visceral fat, lowering cholesterol and increasing muscle mass. The myths surrounding these sauces containing huge amounts of salt can also be dispelled as they have very little effect on blood pressure thanks to a high amount of peptides (a protein created during the fermentation process). 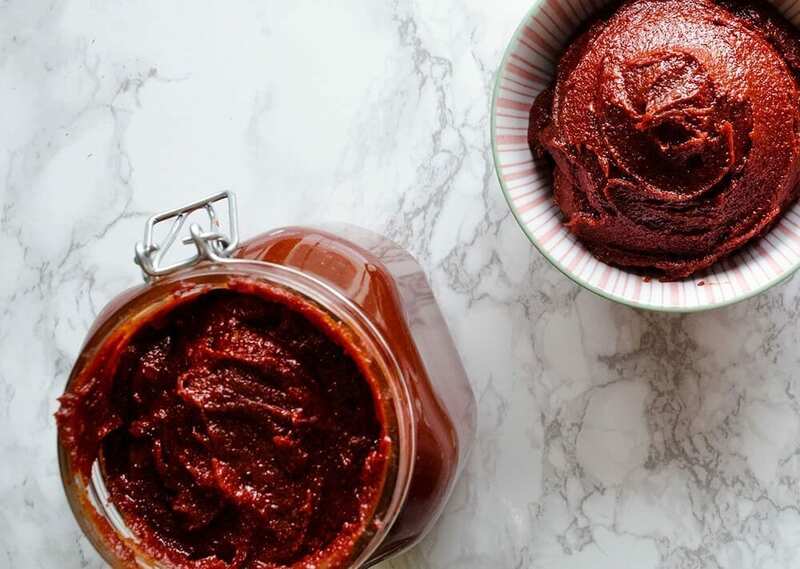 Finally, the sweat-inducing chemical capsaicin, found in gochujang and that gives peppers their hot taste, lowers the amount of triglycerides in your blood, promoting metabolism and the burning of fat. If you are interested in learning more about Korean cooking the Maangchi website has stacks of recipes – including 13 different variations on making Kimichi. If Julia Child had a Korean cousin it would be Maangchi. Born and raised in Korea this lady knows everything about Korean cooking!